presidential debate in 1960 to the first debate livestream in 2012. Here are three ways you can use Google to discover and engage with the latest debate coverage and claim your front row seat to all four general election debates. FOLLOW TRENDS - Healthcare? Jobs? Immigration? 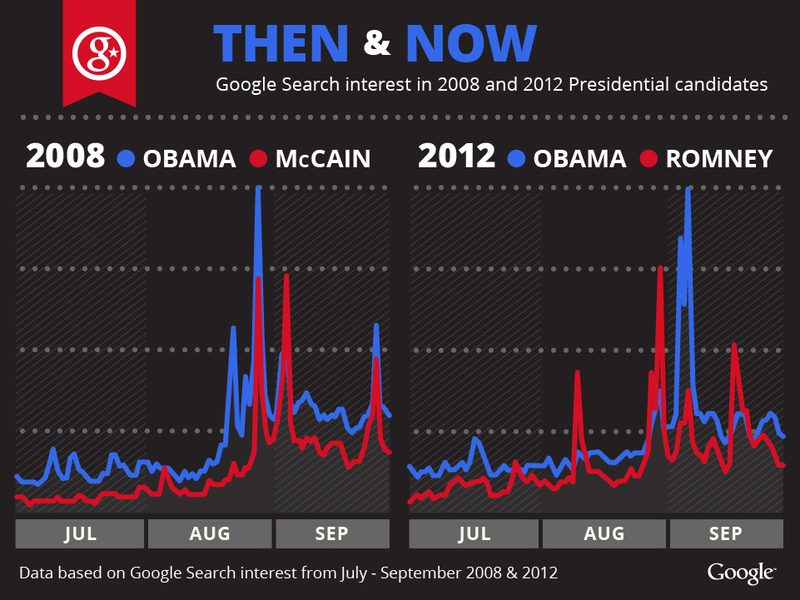 What are Americans searching for around the debates? 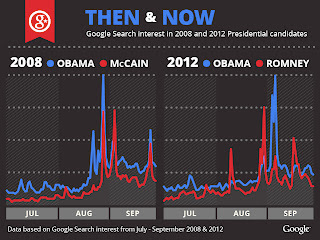 Find the latest Google search trends and consumer insights on google.com/elections or by following the Google Politics & Elections page. We’re also on the ground at each debate location partnering with the Consumer Electronics Association (CEA) to highlight key trends on our "Insights from the 2012 Debates" media wall. WATCH LIVE - Watch the livestream at youtube.com/politics via our partners at ABC News and catch what the YouTube Elections Hub partners -- ABC News, Al Jazeera English, BuzzFeed, Larry King, New York Times, Phil DeFranco, Univision and the Wall Street Journal -- are saying pre-and-post debate. Missed the debate? Check back on Thursday for full clips and highlights. HANGOUT - Keep an eye on the our Google+ page for hangouts around the debates with the Washington Post, USA Today, Mitt Romney’s campaign, students from the University of Denver and many more. Join the conversations and share your thoughts by using #googlepolitics in your posts. The presidential debates have generated some of the most memorable moments from the campaign trail. From a digital perspective, we’ve come along way from the first televised presidential debate in 1960 to the first debate livestream in 2012. Here are three ways you can use Google to discover and engage with the latest debate coverage and claim your front row seat to all four general election debates. Follow this link and you will find a habitat of the most valuable essay writers .